Are you looking for a very lucrative business opportunity for yourself or a family member? Are you interested and excited about electric bikes? If so, listen up because the time has come to turn the wheel of this exciting adventure known as Ashland Electric Bikes over to the next steward. We have a ten year proven track record, a wonderfully enjoyable, loyal customer base, and financial figures to impress any number cruncher. Our reputation for quality products, honesty, integrity, and stellar service is known nationwide. 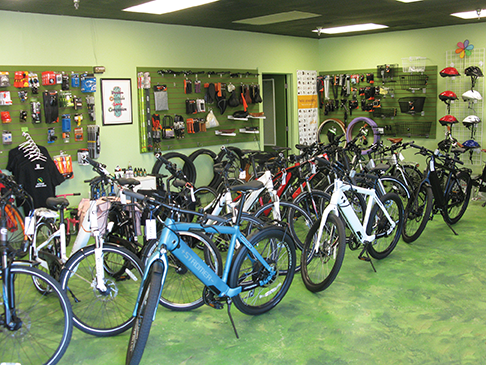 As the most established electric bike shop in the State of Jefferson, we cast a wide net of sales activity locally, deep into California, out to the coast, up to Eugene, over to Klamath Falls and beyond. Our industry is booming worldwide and finding its stride increasingly each season here in the US. Big players are jumping in making it clear that the electric bike industry is here to stay. Yamaha, KTM, BMW, Maserati, Pirelli, Ferrari, and many other big hitters have become stakeholders in the world of ebikes. You can be sure that their bean counters have done their homework! You might ask, “Jerry, if business is so good, and the future so bright, why are you stepping aside?” To that I would say that for everything under the sun there is a season. The bucket list of my life is beckoning and I feel a strong pull to answer the call. My personal next chapter awaits.